It’s been a little while since I’ve linked up for What I Wore Sunday, and I know my readers are dying to know what this cutting edge homeschool mom has up her sleeve this week. Well, let me tell you on a scale of one to ten it’s a solid three; as in “Wow Kelly, you look really meh.” I’d been seeing some other ladies rocking a long sleeve shirt under a warm weather dress and I was all, “That looks totally doable.” And I busted out my Easter dress and a shirt, layered up and got the opinions of the household. 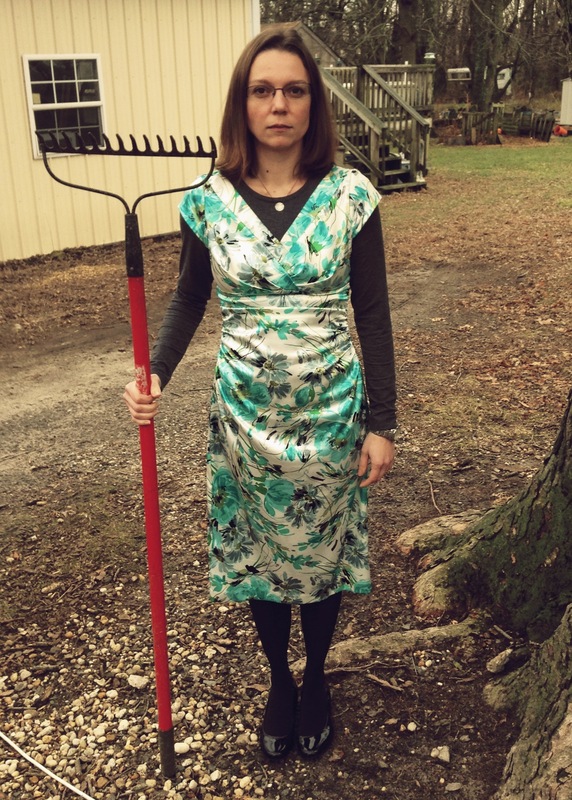 My tribute to Green Acres and American Gothic. Iconic yet eerily disturbing at the same time. What does any of this have to do with my outfit? Absolutely nothing. It’s better to skip my captions. Necklace: It’s a French coin with a chain through it. Snazzy Christmas gift from my sister. Tomorrow, it’s back to the old reliable denim jumper. Maybe next week I can pull off a style that doesn’t pair as poorly as a fine red wine and a hot dog. For ladies who will truly inspire you to look good, be sure to swing by Fine Linen and Purple. Wait a second. I’m not supposed to be eating hot dogs with my fine red wine??? 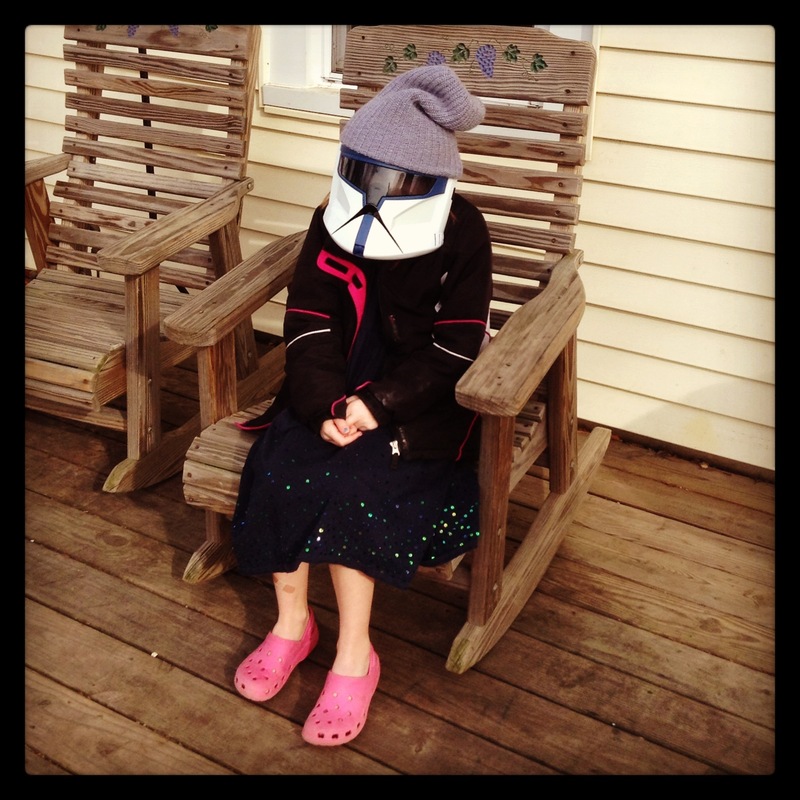 I actually think it was really creative what you did with your spring dress to make it winter appropriate! I put shirts under my dresses all the time, so I think it’s fine. 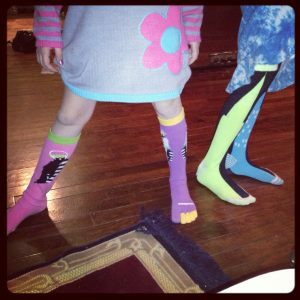 I ask my 2 year olds for fashion opinions all the time and then wonder why.in the world i take their answers seriously??? And btw can we please get that chalkboars graphic on a tshirt asap? Thank you. That is all. Oh my goodness I can’t stop laughing. You are so funny! I commend you over and over for the taking of that amazing picture. Genius. OMGeeez, I should not read your posts in the a.m. when peeps are still sleeping, I had to hold in the laughter and that’s always really uncomfortable. I really love that outfit, maybe your friend just convinced everyone that she is fashionable so people will come to her for advice. Or I am just not. Either way, you get 2 thumbs up from me. That pose is fabulous and your girl fashion is amazing! Well I really love the shirt with the dress but what do I know about fashion? I am always trying to mimic that look but my shirts never look right under my dresses. Or maybe that’s what everyone thinks about themselves and they actually do look great to other people? So confused. Ha! Love this whole post! I also love your chalkboard pic up top.